The 2016-’17 season was a huge success after Tony Granato resurrected the team to a winning season finishing with 12 wins, 2nd in the Big Ten, and 17th nationally. Furthermore, Tony Granato won Big Ten Coach of the Year and star forward Trent Frederic (33 points in 30 games) received accolades including Big Ten Freshman of the Year. As the start of the 2017-‘18 season draws near Wisconsin for the first time since 2014 has been ranked in the preseason polls (No.12). This upcoming season the Big 10 is introducing a couple of major changes most notably welcoming Notre Dame into the conference. Notre Dame was ranked fifth in the nation at the end of the season and made a semifinal appearance in the 2017 NCAA Frozen Four. Another change is the Big 10 playoff format. The new playoff system will have a three week playoff with the quarterfinals on school sites, then semifinals to the championship. In addition, the first seed of the Big 10 will obtain a first round bye. One of the unique challenges this season that the team will face is the absence of head coach Tony Granato during portions in the season. Tony Granato was selected as head coach for Team USA in the 2018 PyeongChang Winter Olympics. Another challenge will be that the Badgers will immediately kick off Big 10 conference series matchup against Ohio State on October 6th and 7th. The series will be key indicator on how team improved from last season. Fortunately, with only one key notable departure (Luke Kunin heading to Minnesota Wild) the Badgers still retain most of their key players. Furthermore, Coach Granato’s focus during the offseason was to add more depth across the roster. The result, the Badgers arguably boast one the highest quality incoming freshman class this year with four out of seven players selected in the NHL draft and an all-star transfer goaltender. The Badgers finished ninth in the country with 3.39 average goals per game last season. In addition, Wisconsin’s power play conversion percentage was at 21.5 percent which is six percent higher than Big-10 average. Keep an eye out for Cameron Hughes (seven goals, 25 assists) and Trent Fredric (15 goals and 17 assists) this year as they will be the main offensive weapons. The duo will be supported by forwards such as Ryan Wagner (nine goals, 17 assists, Seamus Malone (10 goals, nine assists), and Will Johnson (10 goals, 12 assists). Defenseman Jake Linhart (six goals, 17 assists) will chip in point production from the blue line. Incoming freshman forwards including offensive duo Jason Dhooghe, Sean Dhooghe, and Linus Weissback (drafted by Buffalo) are expected to contribute to offensive scoring as well. If most of the players can keep up with similar stats from last year the Badgers will be one of the top scoring teams in the nation. One of the noticeable weaknesses that the Badgers must focus on will be preventing the puck from passing the goal line. The statistics reflect that struggle. Wisconsin from last season had a penalty kill percentage of 80.3 percent and gave up an average of 3.28 goals per game. Overall, Wisconsin is ranked 46th out of 60 in defense. Fortunately, as Jack Linhart and Cullen Hurley start the team added much needed depth. This season three highly talented freshman defenseman man and an All-American transfer goalie will join the Badgers. 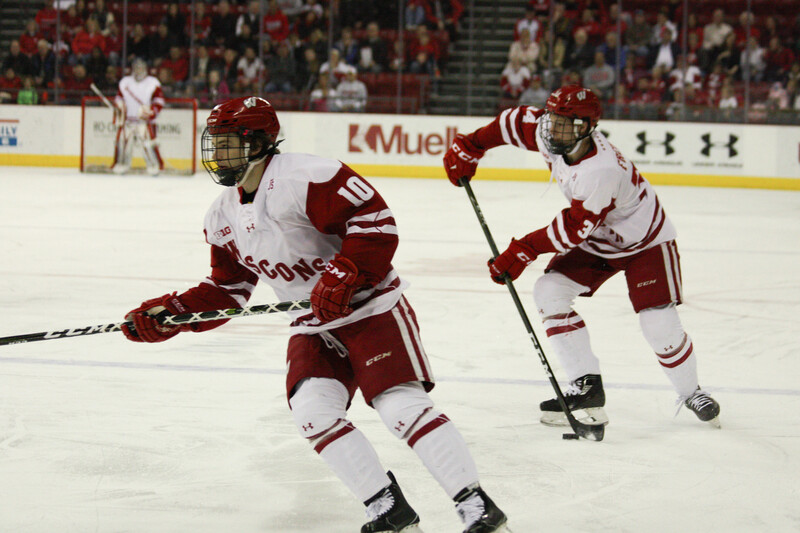 Defenseman Tyler Inamoto, Josh Ess, and Wyatt Kalynuk will immediately help contribute both offensively and defensively for the Badgers. 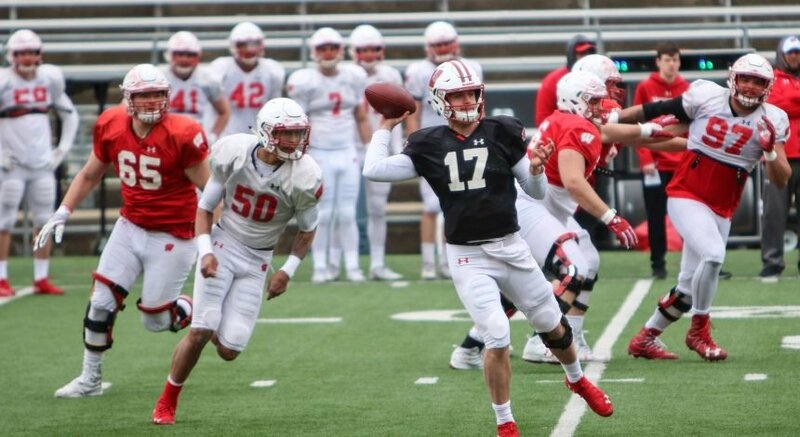 Furthermore, expect sophomore JD Greenway and Patrick Sexton to take a bigger role in defense. Last season, goaltenders Jack Berry (.898 save percentage, 2.66 goals allowed per game) and Matt Jurusik (.882 save percentage, 3.70 goals allowed per game) did a respectable job keeping the Badgers to somewhat survive in defense. However, with Matt Jurusik departing to the USHL and the Big 10 becoming more competitive a highly talented goaltender was needed. Arguably the biggest spotlight will be on transfer goaltender Kyle Hayton. Hayton spent the last three seasons with St. Lawrence a member of the ECAC conference. Last season, An Kyle boasted a .929 save percentage, 2.28 goals against average, and was awarded ECAC goaltender of the year. In addition, Kyle was a semi-finalist for the Mike Richter Award (NCAA most outstanding goaltender). Wisconsin will play against Michigan tech for the first time since January 3rd, 2015. (Wisconsin won 2 to 0). Puck drop will start at 2 pm in the Kohl Center.